What Are The Risks Associated with Diabetes Mellitus And How To Reduce Those? Diabetes mellitus is a metabolic disorder. This disorder is characterized by high glucose levels in your bloodstream. When you are affected with this condition, it makes your body to not produce or properly use insulin. Throughout the world every year there are 3 million cardiovascular deaths due to the elevated blood sugar levels, diabetes mellitus or both. In the US alone up to 65 percent of people with diabetes mellitus die from cardiovascular disease [heart failure]. Diabetes mellitus is defined as rapid blood glucose of 126 milligrams per deciliter or more. There are two types of diabetes mellitus. One is type I diabetes mellitus or juvenile onset diabetes mellitus and the other is type II diabetes mellitus or adult onset diabetes mellitus. 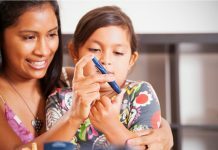 Type I diabetes is insulin dependent diabetes. This is an autoimmune disease and in this condition your pancreas produces no insulin at all. In order to survive, you need to relay on insulin medication. 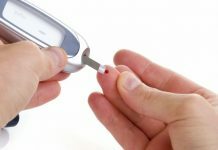 Young and lean individuals at the age of 30 or less are usually affected with type I diabetes. There is no cure for this type of diabetes mellitus. Type II diabetes is non-insulin dependent diabetes. It is a metabolic disorder and is due to the inability of your body to produce or properly use insulin. 90 percent of diabetics are of type II only. People who are above the age can have the chance to get type II diabetes mellitus. As your age increases, the incidence of type II diabetes also increases. 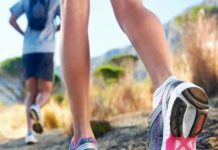 80 percent of the people with this type are normally obese and it also has a strong genetic tendency. Increased urination and decreased appetite are the symptoms of both type I and type II diabetes mellitus. There are some major complications of diabetes due to elevated blood sugar or low blood sugar and disease of the blood vessels. This can damage your eyes, kidneys, nerves and heart. Usually your blood sugar levels will vary throughout the day. If you consume greater amount of carbohydrates, then the levels will increase to a maximum. Some factors like overweight, alcohol consumption, exercise, marital status and smoking can make your diabetes mellitus more severe. 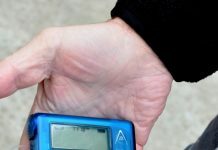 Recently researchers found that housing conditions can also influence the risk of developing diabetes. But, it is not clear how housing conditions can increase the risk. 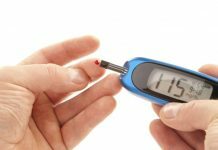 How to reduce the risks associated with diabetes mellitus? Diabetics should pay close attention to the safety of drugs that they are using. Some medications used to control diabetes mellitus can cause a risk of heart failure. For example, a drug called avandia can cause heart failure than early estimated. Healthy diet can also reduce the risk of diabetes. Your diet must include healthy nutritional foods. Don’t consume the foods with trans fats and saturated fats. These fats affect your pancreatic beta cells. You should try hard to avoid these fats. Consume low glycemic index foods [glycemic index diet]. Foods with high glycemic index can cause your blood glucose to increase rapidly. Large amounts of caffeine consumptions can reduce the risk of type II diabetes mellitus. Dietary fiber can reduce the development of type II diabetes. Consume lots of whole grains. Including these steps in your healthy diet plan can greatly reduce the risk of developing diabetes mellitus. Next articleChildhood Vaccine Is Good For Treating Whooping Cough! 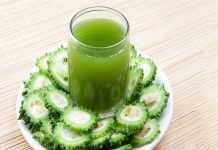 How To Recognize The Condition Of Diabetes Insipidus?